We knew it would come–the time when mobile web design would take over. 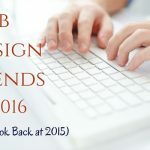 At the beginning of the year we predicted mobile 1st to be a top 2015 website design trend, and with recent changes by Google, it is surpassing trend status and quickly becoming a necessity. 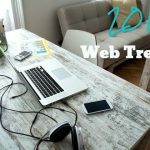 If your business already has a mobile web design, you may be ahead of the competition and your search engine ranking may have just improved a smidge. If not, your google ranking probably just took a hit. Here’s why you need a mobile web design, the consequences for not being mobile-friendly, and how to verify if you are. Do you have a smartphone? Various sources including Tech Crunch and The Economist estimate that around 80% of adults do. People use their phones at home, at work, at school, in bed, at family functions, at restaurants and movies, and even while driving. Search is literally at our fingertips 24/7. This is how we do it today. Using search engines is so ubiquitous, one could argue that “Googling” has officially replaced the concept of deep thinking. Most of us use Google, unless we happen to still carry a torch for Bing, Yahoo! or Baidu (the latter three each commanding only about 10% of the global market). We don’t need to try different restaurants when we can skim the ratings on Urban Spoon or Yelp. We don’t feel tortured for long when we can’t remember what movie won the Best Picture Oscar that should have gone to Raging Bull in 1980. We don’t even need to go to the store to buy most things. Just Google it, right? On April 21, 2015, Google changed its mobile algorithm. What this means: Google has added “mobile friendliness” to its list of over 200 signals that are factored into the ranking of results in an organic search. Sites that have mobile web design are favored in search rankings over sites that do not. 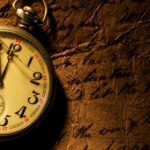 This isn’t the end of days, but what it does mean is that if your website isn’t formatted in a way that makes it easy to navigate with a finger rather than a mouse, then the time has come to seriously consider remedying that. Companies everywhere have been scrambling to make their web content mobile-friendly. Google reported a 4.7% uptick in mobile sites during the two months prior to the announcement. In the vast expanse of the Internet, that is a LOT of websites. Can the text be read easily on all screen sizes? Are navigation and other links spaced far enough apart to easily navigate with your finger? Do photos and other multimedia content display correctly? If the answer to any of these questions is “No,” then it’s time to update. Mobile web design makes your site easy to see, read, and navigate from a smartphone or tablet, as well as a desktop. Even before Google changed its algorithm, it made sense to us that mobile searchers turn away from sites that aren’t compatible with the device they search from. Last month, Google made it official. For an easy check, click the link below and enter a URL to see if it passes! If you passed, then congratulations, you have a leg up, provided your content is strong. Even if your site isn’t optimized for mobile devices yet, you may remain in the search game as long as your content is deemed helpful (entertaining, interactive, and the other 200+ signals) for searchers. Continue to give them what they’re looking for and searchers will continue to find you, for now, but begin to seek out the best avenue for optimizing your site. If your site is starting to show its age, there may be an updated version of your site’s theme. So, installing a theme update may be an option. At Jemully Media, we use WordPress for our sites and the themes we work with tend to receive semi-regular updates for minor improvements and bug fixes. If your site is more than a few years old, and doesn’t have any available updates, a new site is probably your best option. Custom websites don’t have to break your bank. Jemully has brought companies into the mobile age with websites scaled to fit budgets. Websites serve as the central hub for successful brands. Social media is important too, but a capable and modern website should be the base. Google’s recent algorithm change simply reinforces this truth: companies can no longer afford to resist mobile web design. While great content alone may keep you afloat for now, it can’t last much longer, and with the majority of today’s searches being done from smartphones, catering to mobile is the prudent business move. Mobile devices are certainly not declining in popularity, but websites that aren’t mobile-friendly are. The time for ignoring the importance of mobile web design has passed, and the consequences are growing more certain. Mobile web design is officially a necessity.